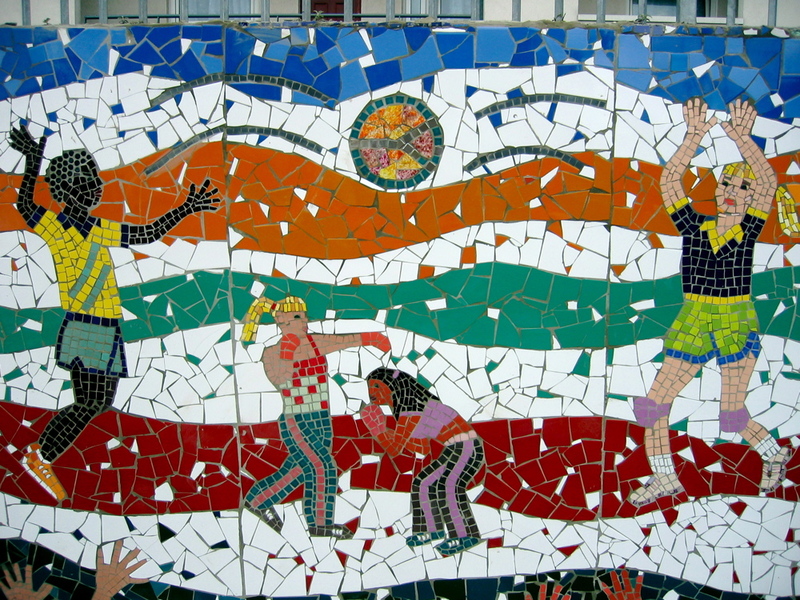 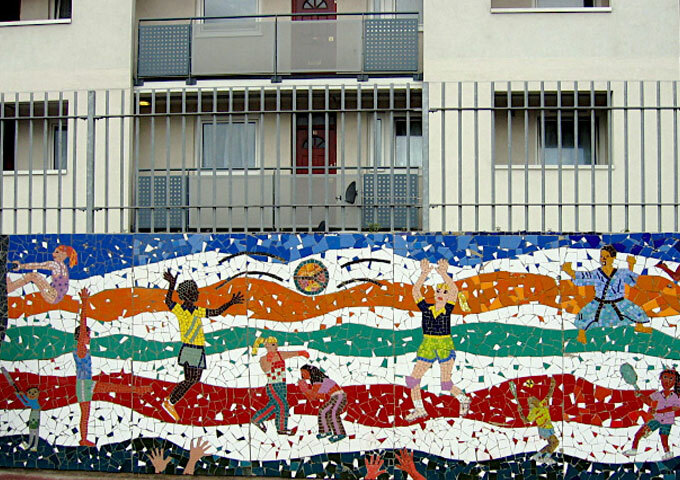 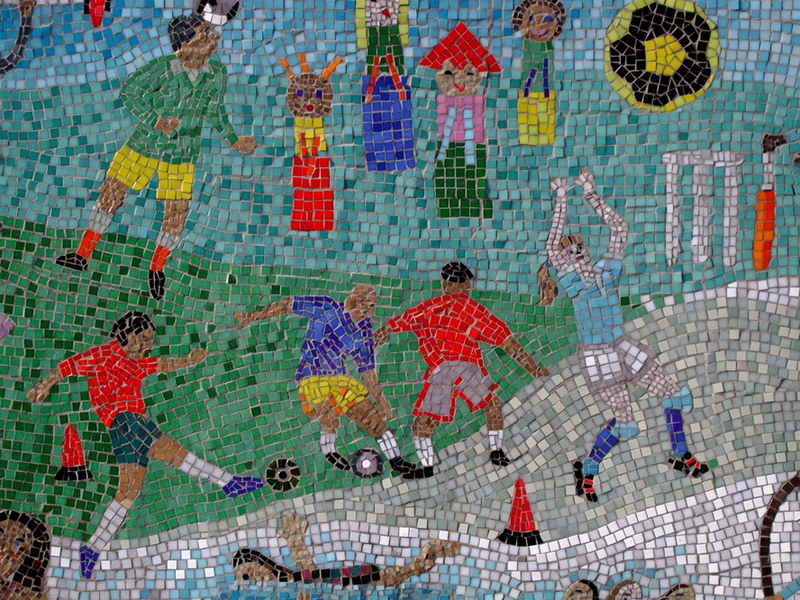 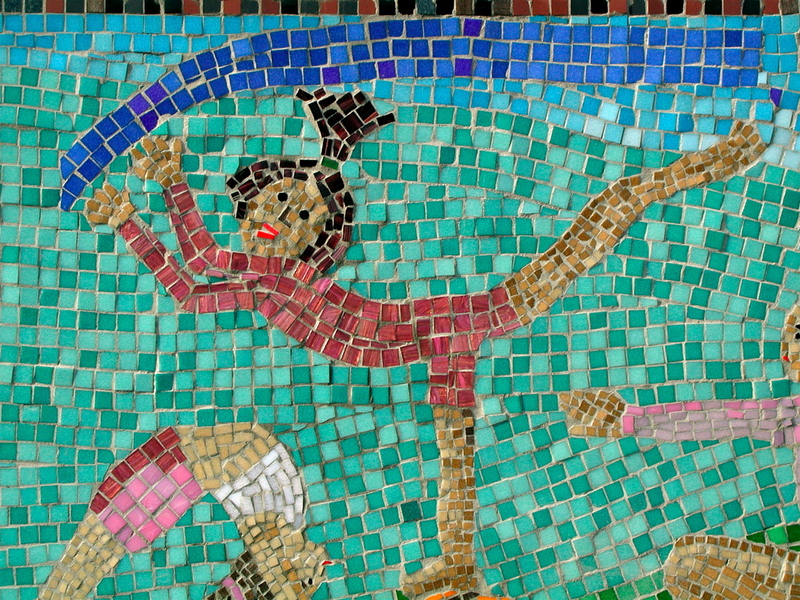 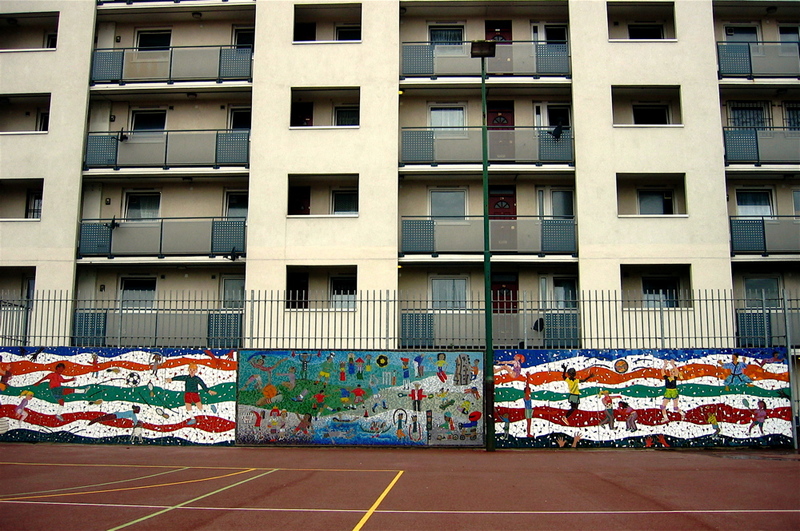 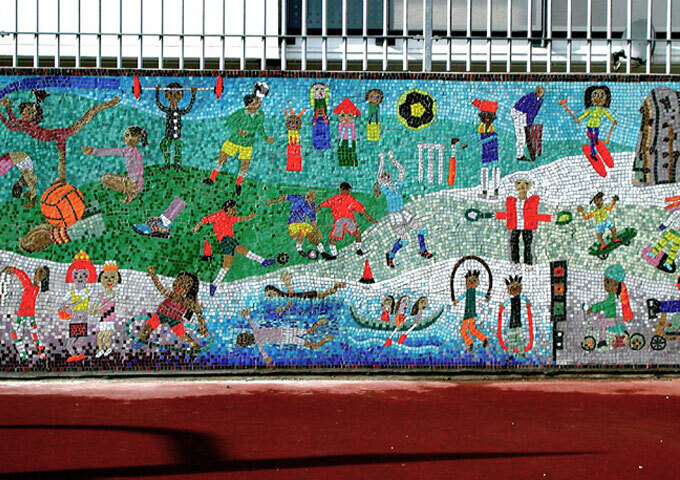 Through Bow Arts Trust I worked with children from Marner Primary School in East London to create large scale wall mural to raise the profile of sport. 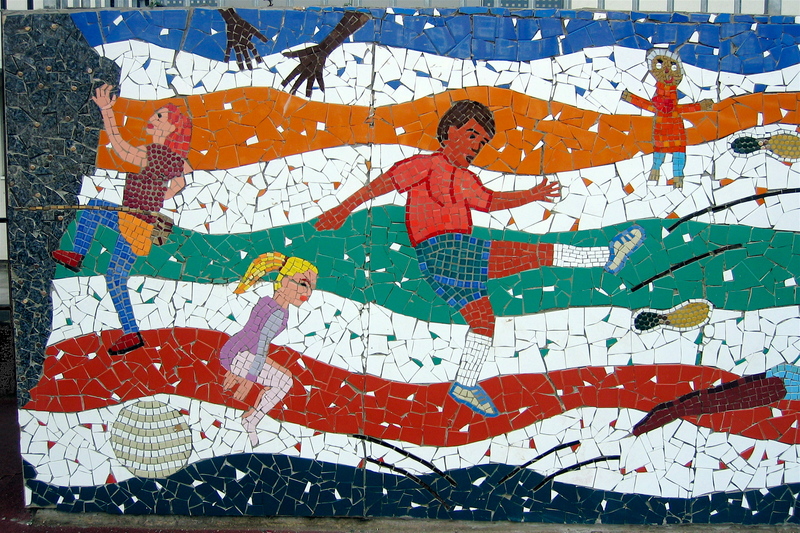 We looked at depicting many different sports used both in school settings and out. 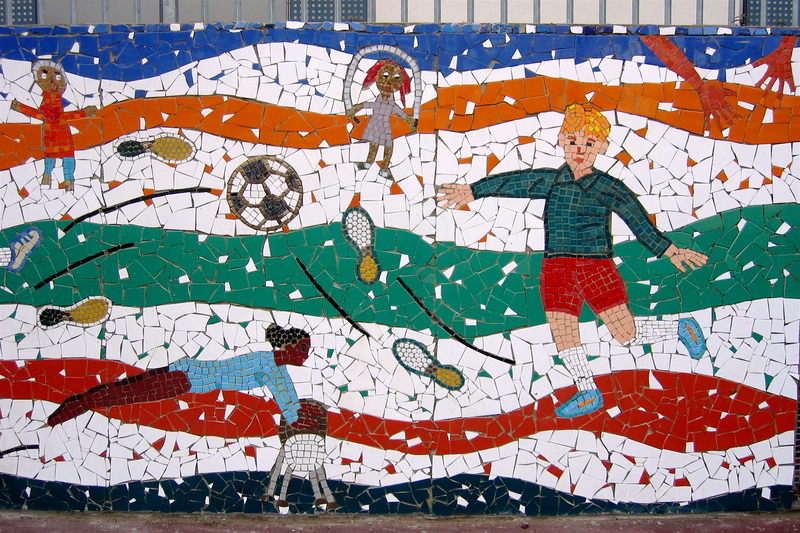 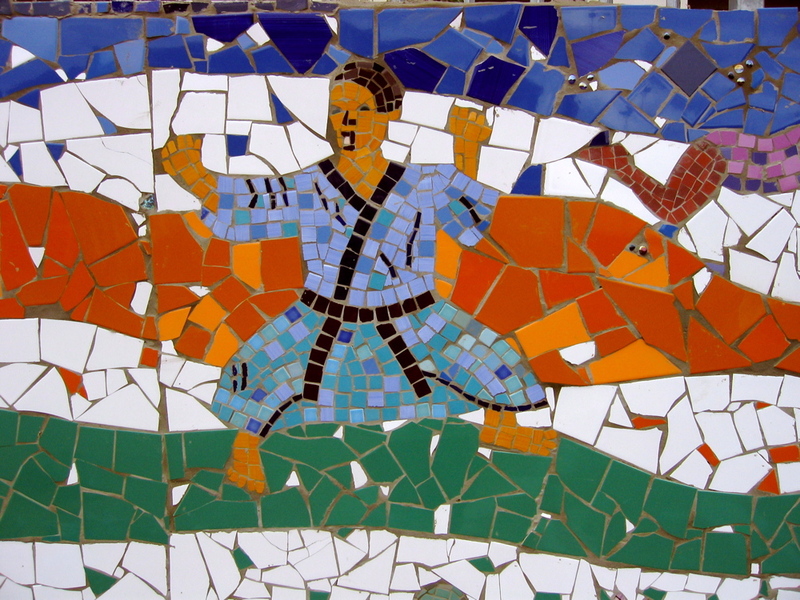 The mosaic was split into three sections using both the direct and indirect methods and with larger cut ceramic tiles and smaller glass mosaic pieces.